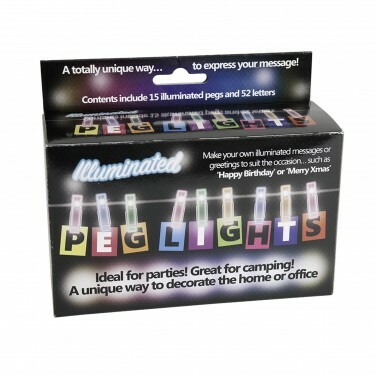 Lit by multi coloured LEDs, peg string lights are a great way for kids to customise their rooms with photo's and messages defined with light. 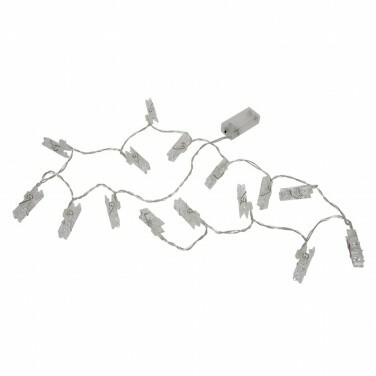 A fun way to present pictures, photo's, messages and more peg string lights are a great way for kids to personalise their space and they light up too! Each peg is lit by a coloured LED that illuminates the peg and the image below and each set comes with two full alphabets worth of letter cards so that they can create statements, messages are simply just spell their name. 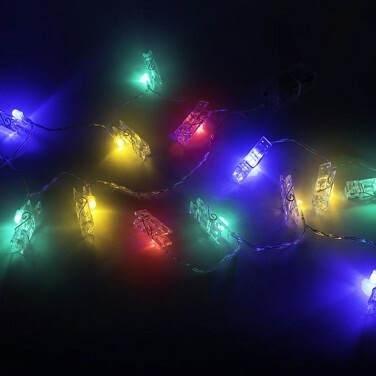 Ideal for kids of all ages, peg multi coloured string lights are battery operated and so can be placed anywhere for a customised room decoration. Lit by colourful LEDs, these funky mirror ball fairy lights add a touch of disco to your room.